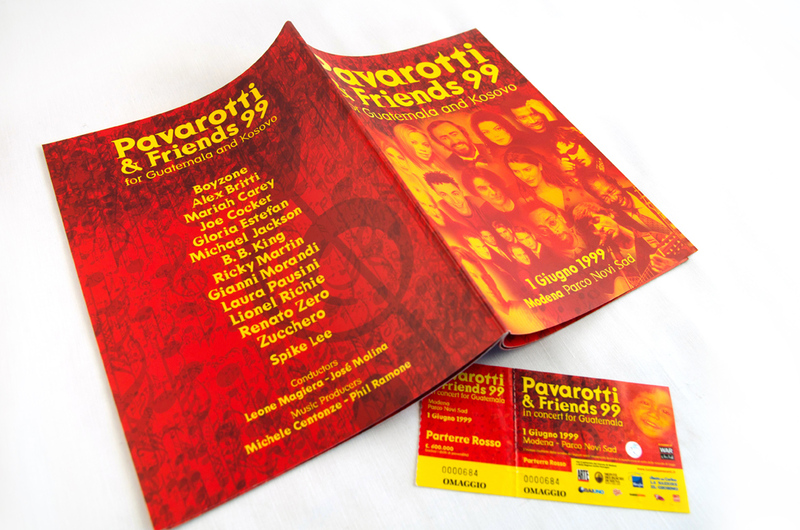 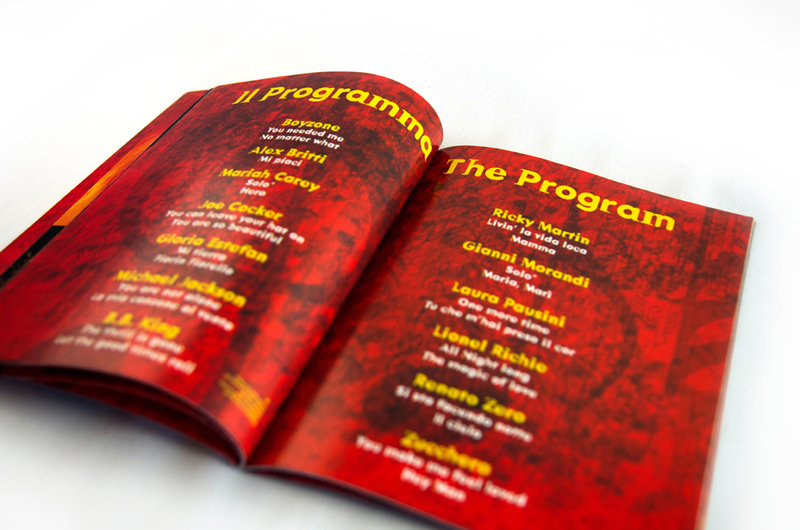 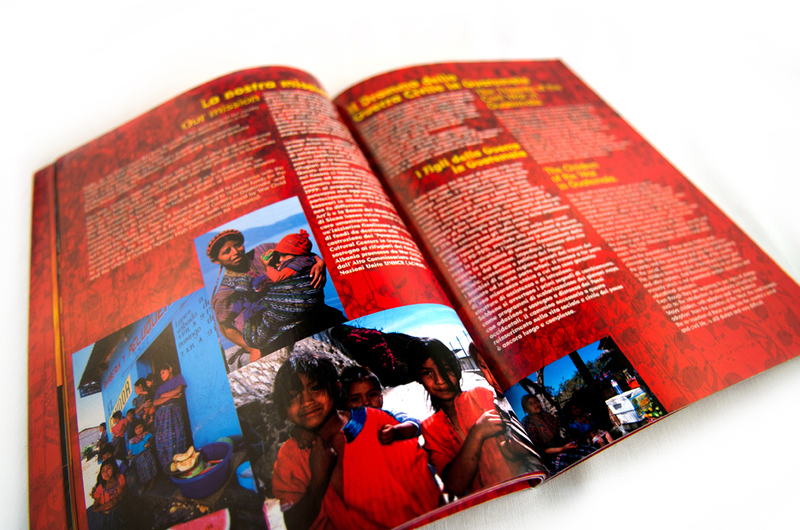 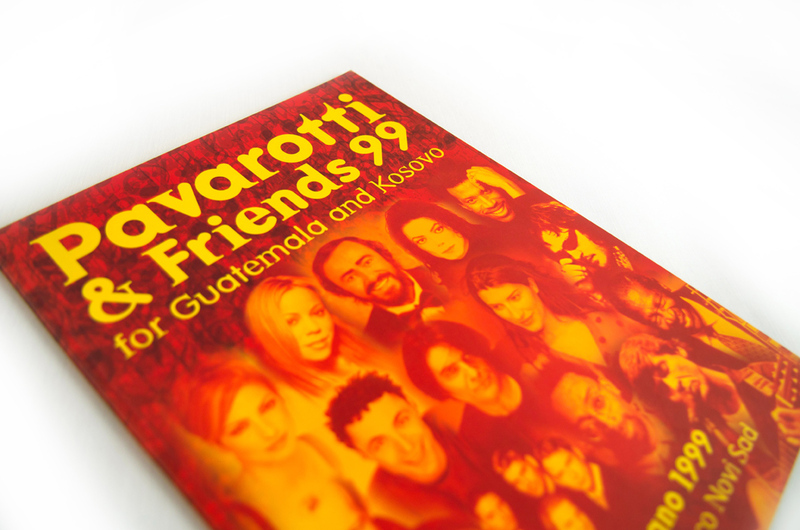 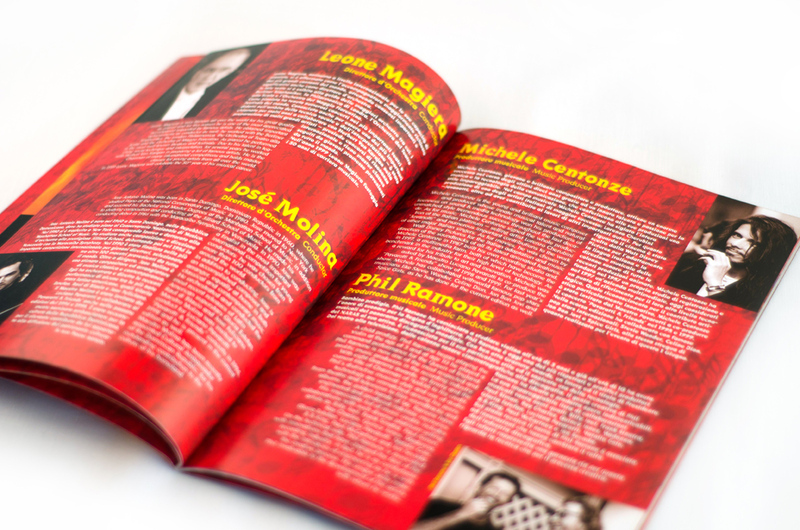 Creative consulting for communication integrated for the event “Pavarotti & Friends for Guatemala & Kosovo”. 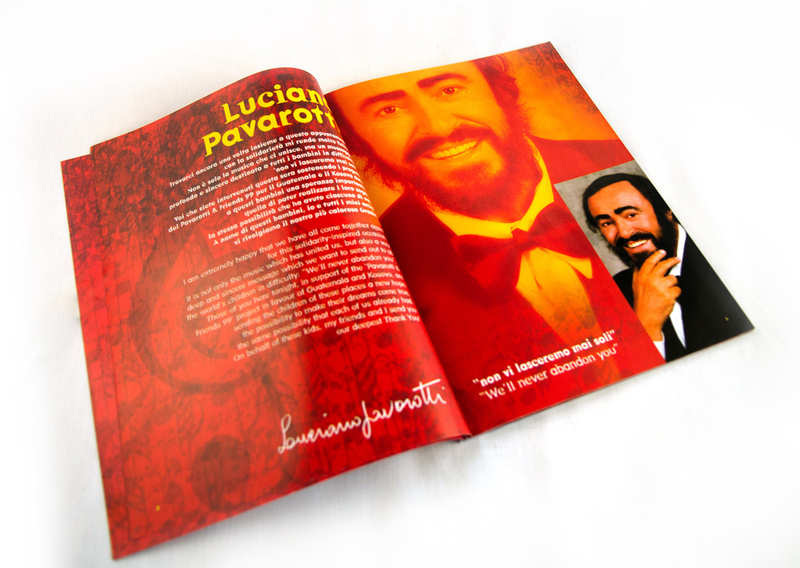 Logo | Poster | Catalogue | ADV | Ticket | Pass Luciano Pavarotti, one of the world’s best-known classical tenors, both headlines and plays host for this special concert, held to benefit War Child, a charitable organization which provides relief for children orphaned by war. 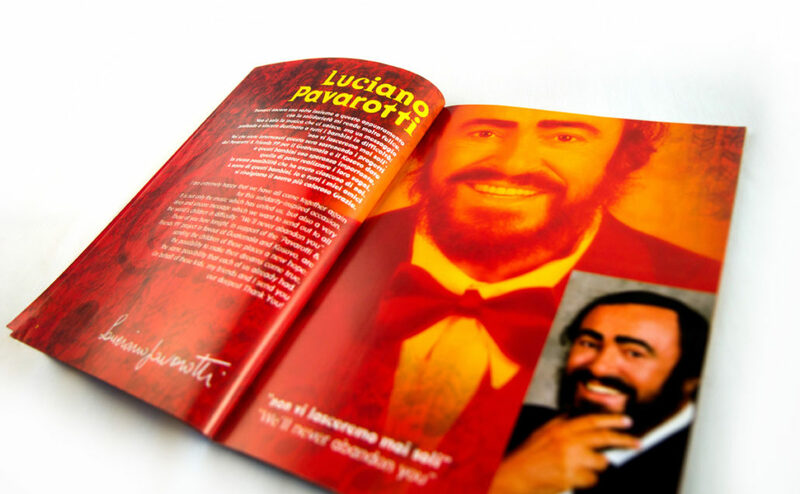 Pavarotti performing with B.B. 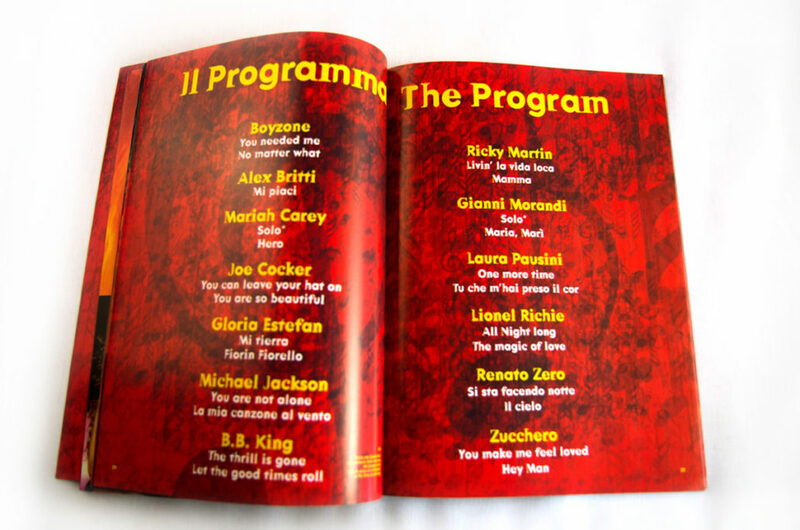 King, Joe Cocker, Mariah Carey, Gloria Estefan, Lionel Richie, Ricky Martin, Boyzone, and Zucchero.